I was looking at the NYC Marathon app on my iPhone, and I saw it roll over from 1 day to go to 24:59:59 to go. And I thought - wow, that's a weird bug. 25 hours to go. But then I realized that indeed there are 25 hours since tonight we get that hour sleep back from the spring. Daylight Saving Time ends at 2 AM. 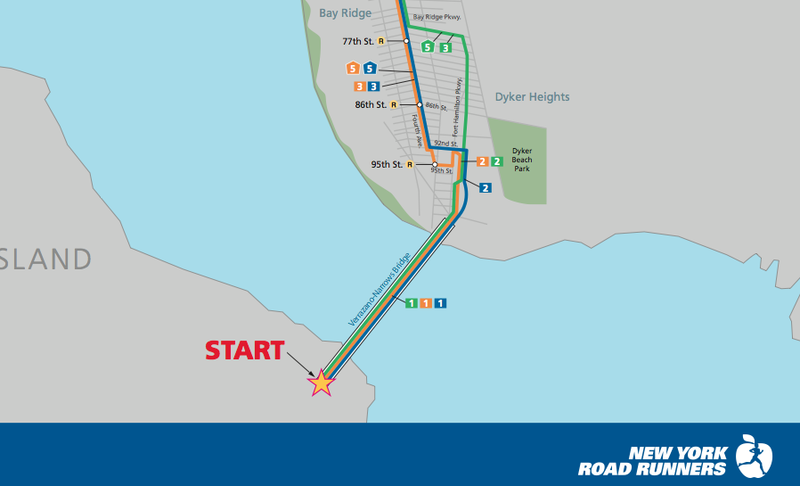 And that's great, because Sunday at 6 AM, I will be aboard the Staten Island Ferry to shuttle across NY Harbor to the start of my 2nd NYC Marathon. The race traverses across all five boroughs ending in Central Park in Manhattan. When I was young, I remember seeing all those people starting the race on the Verrazano Narrows Bridge on ABC's Wide World of Sports. Today you can watch it online at Universal Sports. But, that's nothing compared to standing there - the helicopters circling above, the fireboats spouting plumes of water into the air. And then Frank sings "New York, New York" and you are off. The bridge shakes as the runners storm across the upper and lower decks. Then you hit an amazing crowd of spectators in Brooklyn. Tremendous! I am lucky to be in the first wave of runners - about 13,000 of the 39,000 total. I wonder if they play the music a 2nd and 3rd time for the other waves? Anyway, 9:40 is when I start, and I expect to finish around 1:30 or so. (It will take me a few minutes to actually pass the start line as I am in the 7th corral of the wave.) Then 1:40-1:45 or so later, I will conclude my 2nd NYC Marathon - assuming all goes well. With my habit of flitting off here and there to run in exotic places, why return to NYC? Well, for one, I love the city. I feel very comfortable in NY, have loads of friends here and just enjoy the energy. I've joked for years about having a place in the city, but I don't really have a reason to do so. I've run many times in the Central Park and even over the Brooklyn Bridge. There are numerous other treks to run that I have yet to explore. Further, I qualified for this race by running a sub-90 minute half-marathon last year. The normal process is via lottery and you have about a 25% chance of getting in that way. (In fact, if you apply three times in a row and are denied, you are guaranteed entry the 4th year.) So, once I got in, not running would have been a waste. Lastly, the 2008 race was the only marathon where I got injured. Not bad enough to stop me from finishing, but annoying enough (my foot went numb) to slow me down. Still, I enjoyed that race because I had to smell the roses. Tomorrow, I plan to just have fun and see how it goes. The energy here is great, and I'm about to go to the convention center to get my race information. I'll take some pix to post. Look for bib 7251 online if you want to track me.